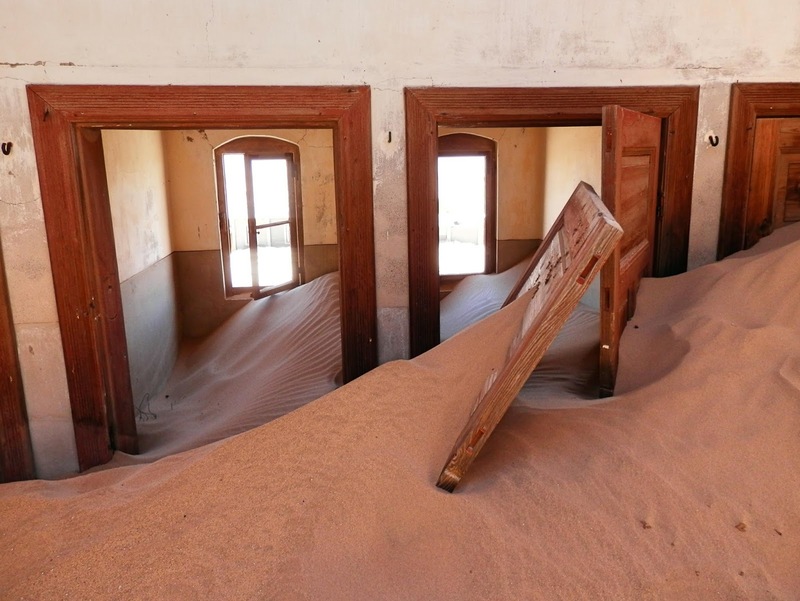 We spent the months of November and December 2013 exploring the country of Namibia. Over the course of almost eight weeks, we drove approximately 10,000 kms (6,200 miles) all over the country. We experienced the many different cultures and saw so many natural wonders. But one of the things that we didn't see was North American tourists. People from Canada and the U.S. who come to Africa seem to be attracted to Kenya, Botswana, or South Africa all of which have more highly developed tourism infrastructure. As a result, they tend to have more "luxury" travel options. Namibia is a little more wild, and still has a lot of areas that may be considered early development when it comes to tourism. We find that a lot of North Americans are unsure about visiting a country where they will have a difficult time being understood. You won't have a problem in Namibia. Despite the fact that there are approximately eight other popular languages (Afrikaans, German, and many local languages) English is the official language. All road signs are in English, and although you may meet some rural people who only speak their local language, there will always be someone close by who can translate. All road, traffic, and tourism signs are in English. We've never been much into birds. Namibia may have changed that a little bit! 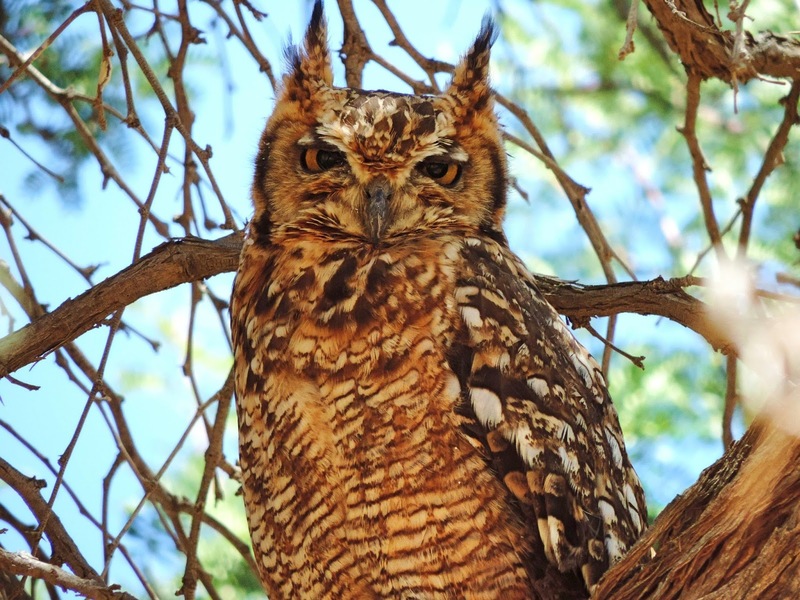 There are around 700 species of birds in Namibia! It seemed like every day that we were in Namibia we would see some kind of different bird. And of course many are so colorful, and with long bright feathers. Oh, and owls! We have never seen so many different owls. 3. You can go camping! 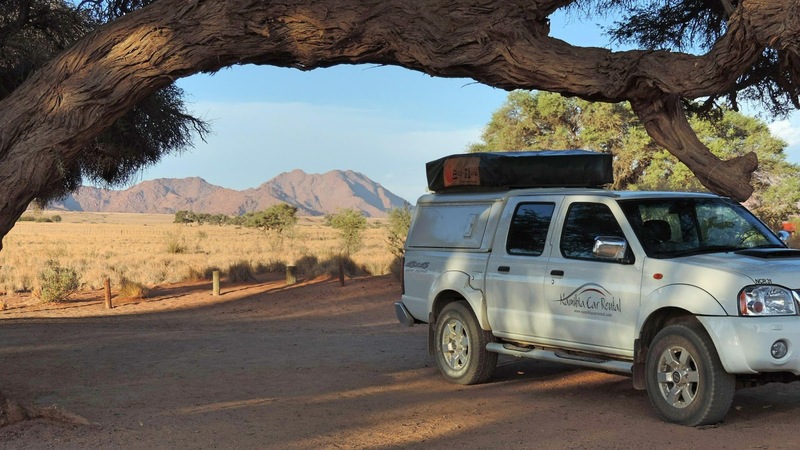 The easiest and most popular way to tour Namibia is with your own vehicle. The local public transportation system isn't the easiest, but if you have your own vehicle you can go anywhere. 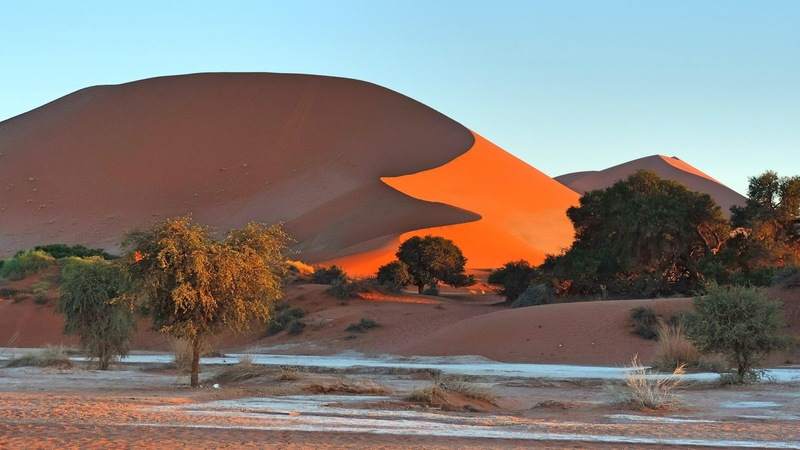 It's also common, and a great idea, to do a self drive camping tour of Namibia, and there are a LOT of campgrounds in Namibia, In fact, we were surprised at the number of beautiful campgrounds. Our camping vehicle from Namibia Car Rental. I've never been much of a desert person. I typically like trees and greenery, but Namibia gave us a whole different perspective on the desert and the different landscapes that the desert presents to you. While there certainly are some long boring sections of desert scenery, there is also very stunning scenery that makes you wonder how it can possibly occur naturally. 5. Protection of the environment. If you are an ethical traveler, you may be interested to know that Namibia was the first African country to incorporate protection of the environment into its constitution. The Government of Namibia has reinforced this by giving its rural communities the right to manage their wildlife through communal conservancies. These conservancies are clearly defined tracts of land, registered with government, where local communities manage their natural resources through a democratically elected committee and approved management plans. Many private lodges in Namibia also have their own environmental conservancies. 6. It is a safe and politically stable country. The country is very safe, and the people are friendly. There are only two million people in the whole country, and 40% of all reported crime occurs in the capital city of Windhoek. We never once felt unsafe. Ruth, visiting with the locals. We spent a total of seven days exploring Namibia's Etosha National Park. But even though Etosha is a world class wildlife park, we found that you don't really need to be in a National Park to experience wildlife. Yes, you'll see everything in Etosha...lions, elephants, rhinos. But you'll also see animals simply wandering near the side of the road outside of parks. The Caprivi region of Namibia gave us our best animal viewing outside of Etosha. 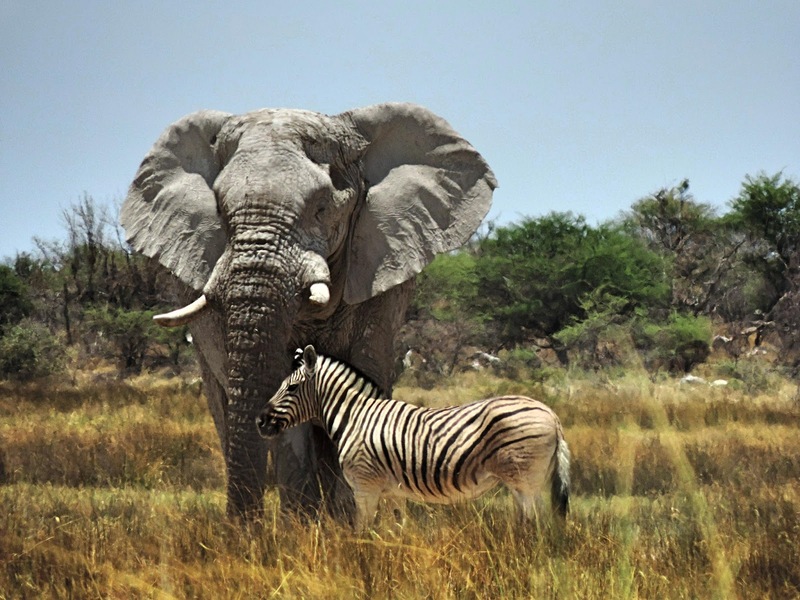 Plan on at least four days to properly explore Etosha National Park. Animals of Etosha National Park. Namibia has people who you will not find anywhere else in the world. People who continue living with ancient traditions and lifestyles without the pressures and conveniences experienced in most of the world. 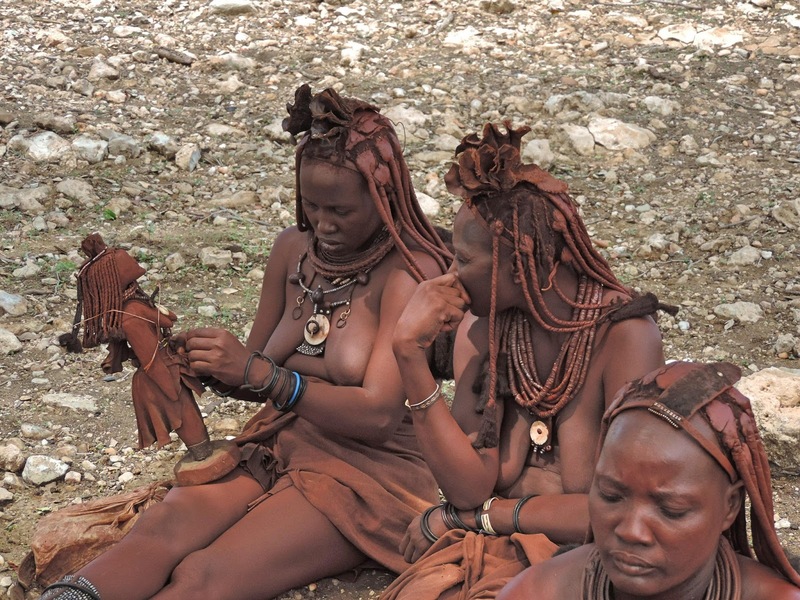 One of the highlights of our trip was the couple of hours we spent with the Himba people in the northwestern region of the country. Probably not known by many, but Namibia has a lot of premier hiking trails. November and December aren't really the best time of year to hike in Namibia because it's summer and it's often too hot to go hiking. The best time of year to visit for that type of outdoor activity is from April through October. Fish River Canyon offers the most well known hiking opportunity, a five day excursion along the riverbed at the bottom of the canyon. Kevin, at Fish River Canyon. One of the main reasons we wanted to go there! We like going to places that are a little more off the beaten path when it comes to tourism, and we're glad that we came to a place that is really only just starting out in the tourism world when you compare it to most other countries. 10. Namibia has the best beer in Africa! Of course the most important reason to visit any country is the quality of it's beer! 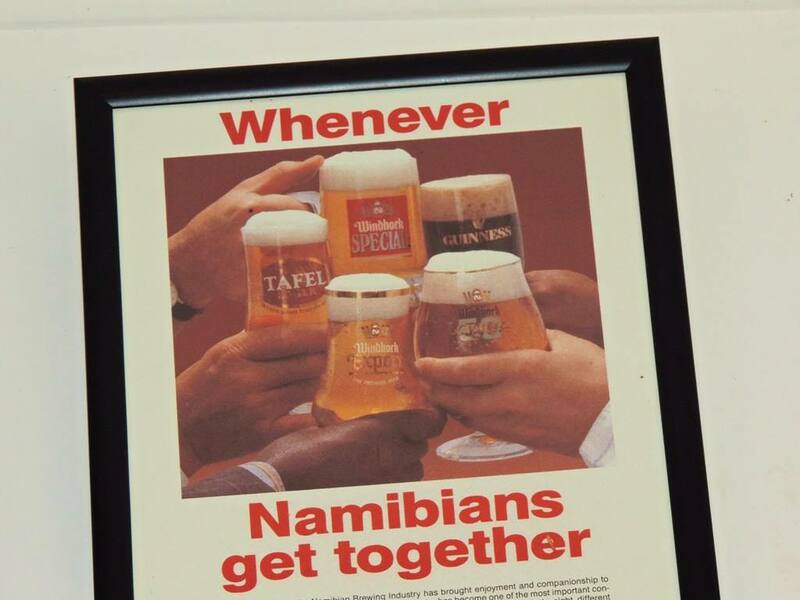 Namibian beer is brewed to the highest German standards and Namibians are passionate about their beer! Namibian beers are very good! Ok the good beer, took the cake, maybe someday. Would be nice to see you make your way here and not for just the beer! Boy you should get a medal from Namibian tourist department. This is a GREAT sales pitch. Like George, "maybe someday". It isn't hard to promote this country, the scenery, people and the animals make it so easy! The birds have been so totally amazing! As Kevin mentioned we really aren't birders but it was sure hard not to take a interest in them here. Namibia is SO on my list, as are many other places in Southern Africa. Just need more time. I love all the camping opportunities. Have you tried Apple beer? You definitely have to make the time to come for a visit Gaelyn, it is so different from South Africa. No we never heard of or tried Apple beer! Happy to hear that Paul and Marti, we can tell you, you won't be sorry! LOL your number 10 is a hoot! Obviously number 10 was Kevin's idea not mine! Okay. You convinced me, and number 10 convinced Al. You would love all the nature here and especially the birds! Yes, a country on the top of my list. Love Windhek draught, also love hiking.